The theft of your personal information, then use of it without your permission, is identity theft. Identity theft is one of the fastest growing crimes in the United States, and can have devastating effects on personal and business finances, credit history, and reputation. To reach any sort of resolution will involve excessive amounts of time, additional money, and a lot of patience. Prevention is the best case scenario. Identity thieves are after personal information including your specific identifying numbers such as social security, insurance, utility accounts, employment/student ID’s, professional licenses and especially bank or credit cards. There are several clever methods in obtaining this information, but you can often protect yourself and your business by regularly using these security habits. Avoid using the same password combination on multiple sites. Don’t use easy to guess passwords like your dog’s name or your street address. Create strong, unique passwords by using combinations of upper and lower case letters, characters, and numbers. Use one of the three safest browsers: Mozilla Firefox, Google Chrome, or Internet Explorer. Do not share information unless using a secure connection, identified by having “HTTPs” in the URL. Always log out of your account when done on the site. Be very conscious of what is shared on social networks and who you allow to view your profile. Default network security settings allow hackers to get into your computer. Customize your security settings to protect your network. Change your router’s default settings by enabling a non-default password and network name. Using a WPA-2 encryption protocol is the strongest security protocol for a wireless network. When using public Wi-Fi, disable sharing and use a VPN service. A Virtual Private Network will prevent any breaches in security by concealing your IP address, encrypting all your data and information, prevent online spying and theft. Install antivirus, antispyware, and a firewall and make sure they are updated often. Avoid phishing emails; don’t open files, click on links, or download programs sent by strangers. Avoid keeping financial and personal information on your laptop or smartphone. Setup devices with a lock screen, making it more difficult to access if it is stolen. Consider reviewing your personal and business credit reports annually; generally a good place to spot identity theft activity. Also reconcile bank accounts regularly and notice any unauthorized transactions. 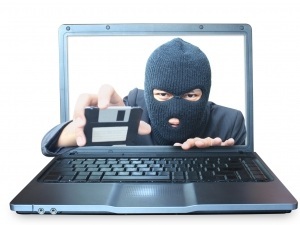 Diligence and observance are the best ways to prevent identity theft.